“Fusion is life. It’s a philosophy. A concept so simple that it is child’s play. Therein lies the key to success: innovation which reveals this self-evident premise. From time immemorial, the greatest achievements have grown out of the simplest ideas”. Now a distinctive character trait, ‘The Art of Fusion’ forms the brand’s very DNA. Hublot’s story began with this motto, which now guides all its actions, its innovations, its developments and its partnerships. Embodying this subtle connection between a past ingrained with secular traditions, and a future nourished by visionary ideas, always avant-garde, always researching new materials, it blends styles and materials with ease. Its partners and ambassadors share its convictions. Members of a family united by a common DNA. 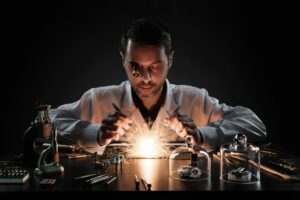 By combining elements from nature, which are never found in their native state, Hublot has reproduced the Big Bang, the moment at which everything came into existence. A modern-day alchemist blending the past and the future, tradition and innovation. The use of metals in their original form and the first ore reductions date back to prehistoric times. 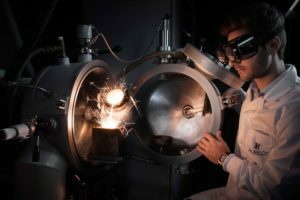 Metals and alloys were then developed with the industrial revolution so that, nowadays, we have a plethora of forms, compositions and applications which is seemingly limitless. 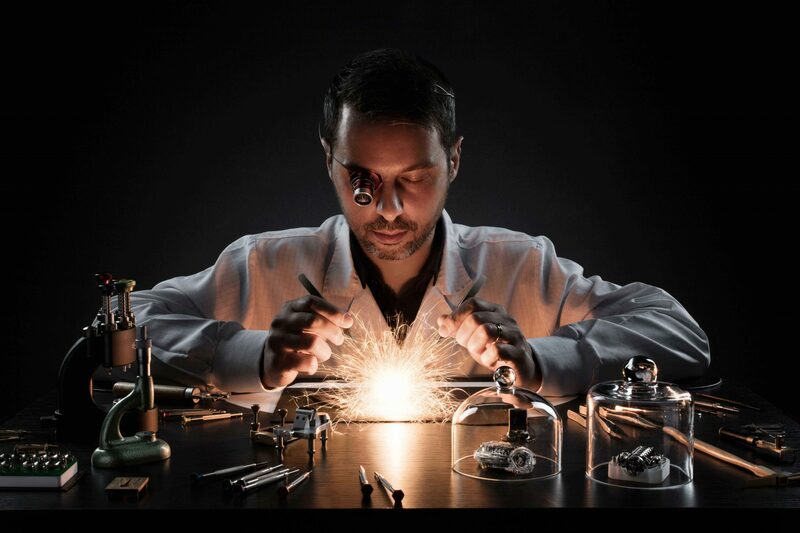 It is in this universe made of materials, minerals, metals, ceramics, polymers, composite materials and alloys, that Hublot is perpetually reinventing ‘The Art of Fusion’. The endless options of nature are its greatest source of inspiration, an infinite source. 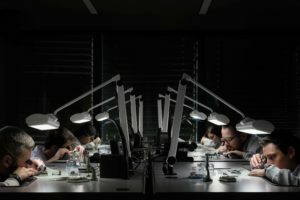 Created in 2004 by Jean-Claude Biver, Chairman of Hublot and President of the LVMH Group Watch Division, and Ricardo Guadalupe, CEO of Hublot, ‘The Art of Fusion’ highlights one gene which has been intrinsically rooted in the brand’s DNA since its creation in 1980 – Hublot was the first to combine gold with natural rubber. Ever since, this philosophy has brought dozens of new materials to life. Unique and exclusive, some are even patented. Brand new alloys; Hublonium, King Gold, Magic Gold –, the combination of immiscible components including carbon and metal –, the hardest and most scratch-resistant materials – sapphire –, the creation through synthesis of the rarest form of gold on Earth – Gold crystal –, fabrics and fibres – St Gallen embroidery, flax fibre, denim, velvet or woven suit fabric – materials in an array of colours – Texalium®, quartz or even sapphire, materials derived from minerals – concrete – or from animals – leather –. These materials are all an invitation into the very heart of the watch; they shape its case and, sometimes, its dial. To realise the full potential of this constant pursuit in R&D, the Nyon-based Manufacture has had its own foundry since 2012, as well as a team dedicated to fusion – the Metallurgy and Materials Department. 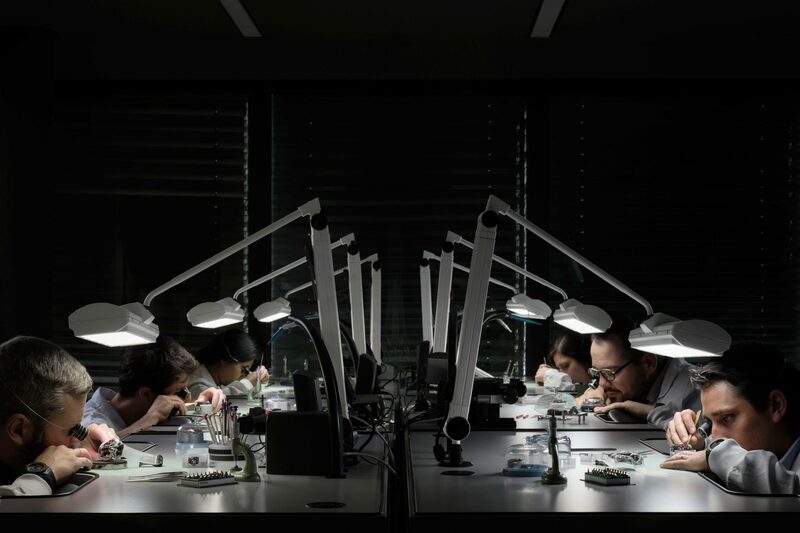 Hublot is investing in fundamental research by collaborating in particular with the EPFL (Swiss Federal Institute of Technology) since 2010. ‘The Art of Fusion’ is a seminal stance that finds its expression far beyond the materials, but moreover a mind-set that guides all Hublot’s actions and partnerships. Partners and ambassadors who are part of the same dynamic, members of a family united by a common DNA: the pursuit of excellence, distinction and innovation. Men, women and brands which are changing the course of history. These include elite athletes making their mark in sport – Usain Bolt, Pelé, Maradona, Kobe Bryant, Dustin Johnson – talented artists going against the mainstream – Lang Lang, Sang Bleu, Andreas Caminada, Lapo Elkann – major competitions – UEFA EURO, the FIFA World Cup, the Cricket World Cup – bold and innovative brands – Ferrari, Italia Independent, AK Ski. Individually and collectively, they embody ‘The Art of Fusion’.